On-line registrations are now open at PlayFootball. All players will need to upload new photo this year as well as ensure they have used their most up to date residential address. Your photo will need to passport style and have been taken in the most recent 12 months. Good quality photos from Smart Phones will be fine. We are also pleased to let you know that for 2019 all online transaction fees are included in your registration amount. When using the PlayFootball website, please make sure check your Junk or Spam email folders for verification codes and reset password emails. In most cases players should register in the Age Group they are turning that year. For example, if your child turns 10 in 2019 then the most appropriate Age Group is Under 10s. It is also possible for players to play up Age Groups but there is a limit of 2 years. The NSW Government will provide a $100 voucher to parents/guardians of school enrolled children (5 – 18 years’ old). Following Sunday 3rd February, late registrations will only be accepted in age groups or teams that have space. Please check our Facebook page – https://www.facebook.com/LeichhardtSaintsFC/ for any age groups or teams in which vacancies exist. You will need to show photo ID and have your photo taken. 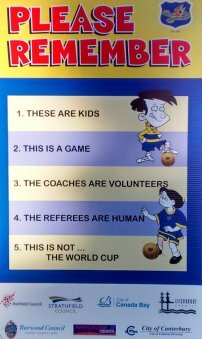 If parents/players are willing to register as a coach, manager or official, it is helpful if they could also do this at the same time as they register themselves or their child(ren).